The trade complaint against Chinese solar cell makers drew to an end on Wednesday when the U.S. International Trade Commission (ITC) sided with U.S. solar manufacturers, agreeing that yes, U.S. solar makers have indeed been harmed by Chinese competitors. It’s a decision that will keep in place tariffs on silicon solar cells coming out of China. The ITC agreed in a 6-0 vote that Chinese solar producers have benefited from illegal subsidies from the Chinese government and sold products at below fair market value. The ITC’s findings corroborate with the decision by the U.S. Commerce Department in October. The two agencies have to agree on the allegations before the tariffs set by the commerce department last month officially take effect. Whether slapping tariffs on imported Chinese solar cells will achieve the ultimate goal of the trade dispute – to even the playing field and foster healthy competition – remains to be seen. So far, the dire predictions about the impact of tariffs from both sides of the disputes haven’t taken hold even though the U.S. government began collecting tariffs –as a result of a preliminary decision by the commerce department – earlier this year. The government collected the tariffs retroactively. Those tariffs will be returned, though, because the ITC didn’t agree with that decision by the commerce department. Though the tariffs are in place going forward, Chinese companies already have found ways to minimize their impact. They can sidestep the tariffs by using solar cells made in countries other than China and assemble those cells into panels in their factories in China. This approach raises the production cost but not as much as what paying the tariffs would entail. Major Chinese solar manufacturers include Suntech Power, Trina Solar, Yingli Green Energy and JA Solar. The ITC decision drew to a close a contentious fight brought by a group of U.S. solar cell and panel makers led by SolarWorld, who filed the complaint in October 2011 as the global solar industry saw a rapid decline of solar panel prices because supply far exceeded demand. That glut, which began in early 2011, has contributed to the bankruptcies of dozens of solar cell and panel makers worldwide and stirred up strong resentment against Chinese solar manufacturers, who rose to dominate the world market in the past six years. Silicon solar panels are made up of rows of solar cells, and Chinese companies that make solar panels typically also produce their own solar cells. Both Solyndra and Abound Solar cited the Chinese companies’ ability to lower prices quickly as a reason for their demise. Solyndra, which is still going through the bankruptcy proceedings, filed an anti-trust lawsuit against Chinese solar manufacturers last month and is seeking $1.5 billion in compensation. The glut of solar panels has remained, the prices of solar panels are still falling, and the number of manufacturers that are leaving the business is still increasing. GTM Research has predicted that 180 solar panel makers worldwide will disappear by 2015. The intense competition has triggered similar trade complaints against Chinese manufactures in Europe. The Chinese government, in turn, recently filed a complaint with the World Trade Organization over government subsidies received by European solar panel makers. On the other hand, the falling prices for solar panels have been a boon for companies that buy and install solar panels. A group that formed to oppose the U.S. trade complaint includes not only Chinese solar manufactures but also project developers and residential solar service providers. 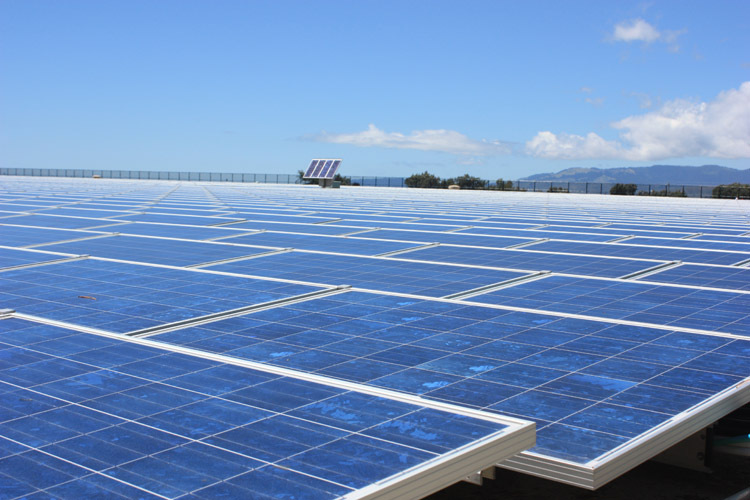 Most of the solar power projects that are bidding for power sales agreement contracts with utilities propose to use solar panels instead of other types of solar technologies. I think tariffs in general are bad idea in a open market. It does not create the protection that is needed and always revokes some type of reciprocity. I wonder what WTO will say on the Chinese claim against EU. If China decided to play the same way, they could slap heavy tariffs on US vehicles due to the government bailout, and on nearly all US technology, including Boeing, due to their involvement in US military activities and associated government funding. So we should tread carefully lest we spark a trade war that benefits no one. We are robbing Peter to pay Paul. We are helping the U.S. solar panel manufacturers and hurting the U.S contractors that do the installs. Check it out. I’m not so sure that U.S. solar panel makers will benefit much from the tariff decision. Plenty of people claimed solar panel prices will go up significantly as a result of the tariffs. But that doesn’t seem likely when you’ve got an oversupply problem to begin with.